If it’s been a little while since you’ve covered a textbook, allow us to provide you with a refresher course. Spoiler alert—it’s so easy! 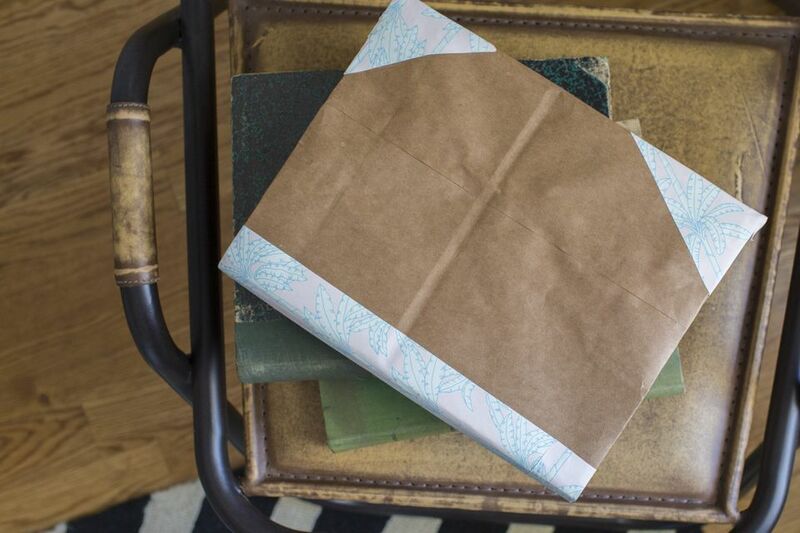 So whether you’re gearing up to help your kids with their back-to-school needs or you’re covering a set of books with a neutral paper to help them blend better with your décor, you’ll love how simple this technique is. Don’t you love it when a craft project is this easy to complete? If you’re a DIY aficionado, you’ll appreciate how minimal this supply list is. And the beauty of this project is that it's an easy way to recycle. Don’t worry if the bag has handles or writing on the outside. You can easily flip it, so the writing goes on the inside and you won’t even see it. Start by removing the handles if there are any. In most cases, you can simply peel them off carefully with your hands. Find the seam of the bag and cut down till you reach the bottom. Then carefully cut off the entire bottom of the bag. Lay the bag, label side up, on your table. Place your book in the center of the paper bag. Draw a line with your pencil across the bag, where the top and bottom of the book are. Remove the book from the bag and then fold the top and bottom of the bag where the pencil marks are. Place the book back on the bag, right in the center, and line the edges of the bag up with the edges of the book. Fold the bag over the book so that the edges of the ends line up and the book is in the middle of the bag. Fold the ends of the bag back to where the ends of the book flaps are. 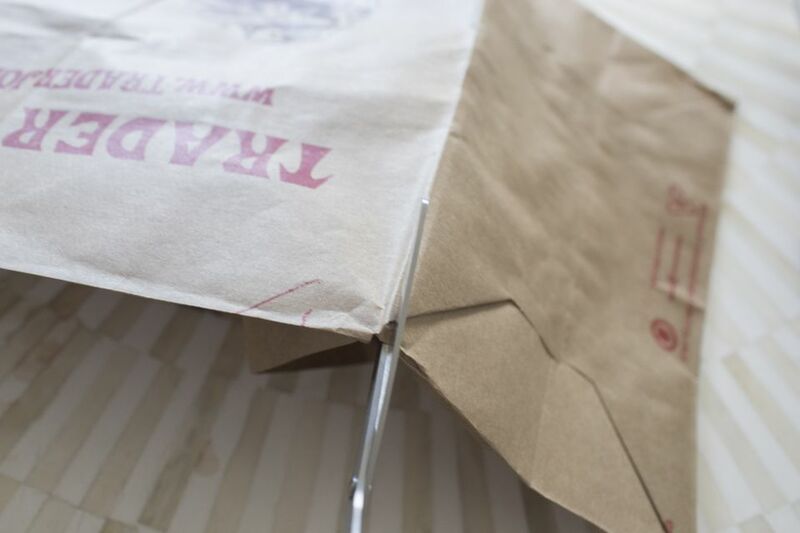 Trim down the excess so that you’ve got several inches of paper bag on the inside covers of the book. Place the flaps of the book inside the pockets that form on the inside of the bag. Depending on how snug the fit is, you can just leave it like that or you can secure the flaps with tape. If you’re covering a schoolbook and it will be getting a ton of use, definitely don’t skip the tape step. If the book is serving more decorative purposes, then you can probably get away with not taping the flaps. This step is completely optional and depends on what you have on hand, but it’s nice to give the books a little decorative touch. You can cover the spine or corners with pretty washi or duct tape (you’ll be surprised how many colors they’re available in)! And just like that, you’re done. How easy was that? Minimal supplies that you already have on hand and you’ve protected a book from the inevitable damage it can be exposed to rustling around in a backpack. Or maybe you’ve been looking to streamline that busy looking bookshelf—your favorite collection just got more monochromatic.